This is a beautiful 1 piece coat size Massachusetts uniform button. 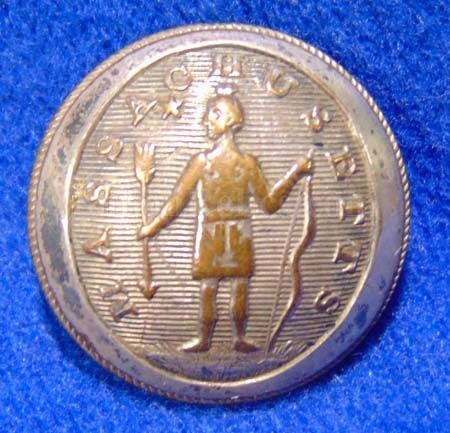 This one has the Indian standing on the button face with his bow and arrow in hand. Written around the figure on the lined field it proudly reads " MASSACHUSETTS”. It has a wonderful amount of the factory silvering remaining on the face. It has a superb look all over. 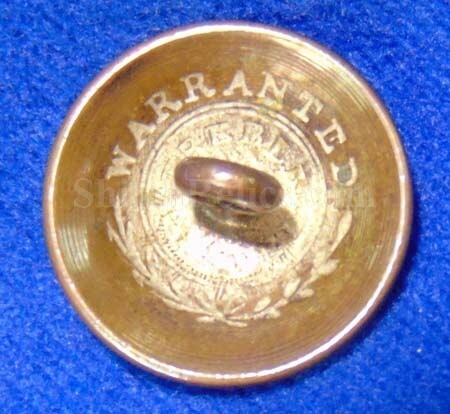 The back has the clear backmark of "WARRANTED / TREBLE / PLATED”. The original shank is present on the back as you can see. This is the version listed as figure MS20 in Albert’s button book and MS038a1 in Tice’s button book. 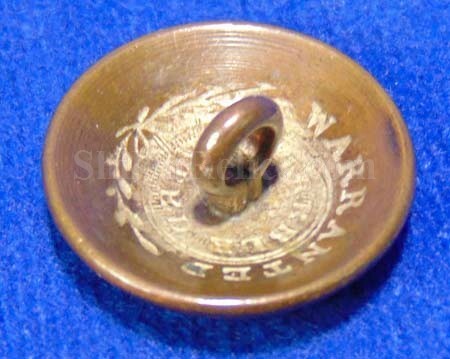 I have always thought that this is one of the best looking uniform buttons of the pre-Civil War period. This is a beautiful non-excavated Massachusetts "Indian” button for any collector.